FrenchEntrée has been working in partnership with Moneycorp since 2004 to save our customers money. Given our longstanding relationship with Moneycorp, they have given FrenchEntrée an unbeatable deal on Money Transfers. Free international money transfers for the life of your account. What’s more is there are no charges to set up the account, nor is there an annual subscription fee. The account is completely free to operate. Moneycorp will even pay the bank transfer fee! This offer is only valid if you enquire through FrenchEntrée, either by completing the form below, or by calling us. We haven’t just partnered with anyone either… As specialists in international money transfers, Moneycorp can offer you a better exchange rate than banks and high street retailers. They are the UK’s leading currency broker and also won an award for excellence in 2011. Still not convinced? 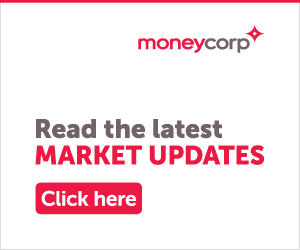 Take a look at our recent comparison table pitting Moneycorp (our recommended partner) against two of the market leading banks. To open up your trading facility, simply fill in the form below and one of our advisors will call you to complete the process. Alternatively you can call us on +44 (0)1225 463 752.